A Different Spin on Bridesmaids Bouquets! We’ve all seen the trends of letting your bridesmaids pick out their own style dresses, jewelry & shoes. When I saw this new trend of letting your girls pick out their favorite flowers, I had to share! Of course you can still keep in control of the color scheme, but you can easily let your girls pick out their favorite flower, since most come in a wide variety of colors. If you are working with a talented florist, they can execute this idea with no problem. 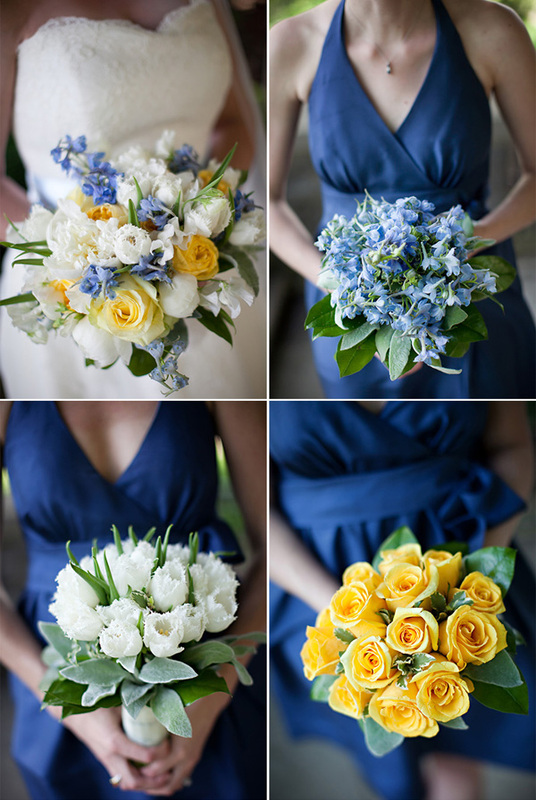 I love how the bride’s bouquet below is a beautiful combination of all 3 of her bridesmaids. Stunning! Excellent idea! Evebody is happy having their own bouquet! And it is not that difficult,right? Thank you for sharing!